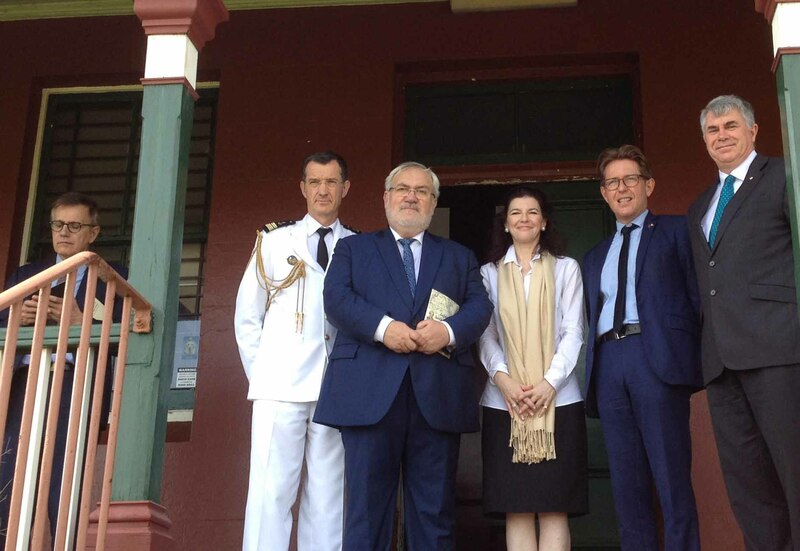 Saturday November 19 2016, Nicole Forrest Green received the French Minister for War Veterans at the Lapérouse Museum, Sydney for an official visit. 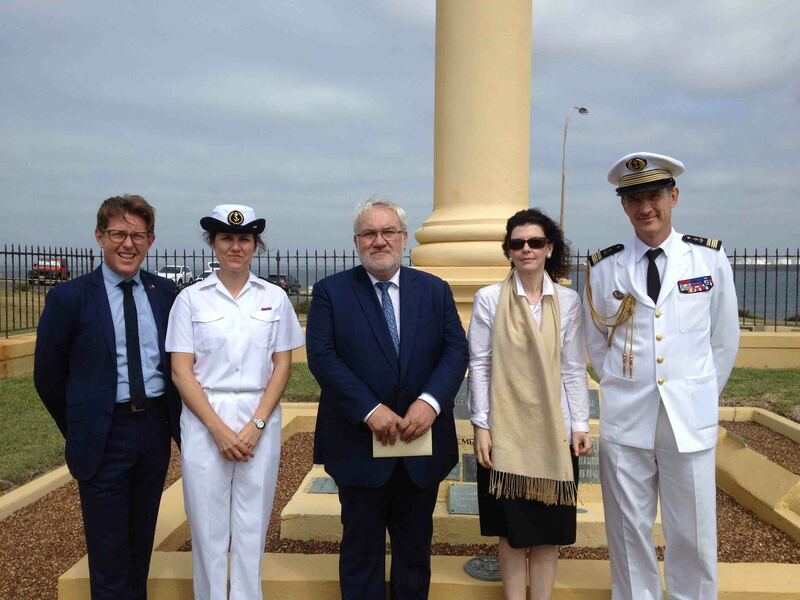 Accompanied by his delegation from France headed by Chief of Staff Jean-Robert Lopez, Préfet, Jean-Marc Todeschini holds the appointment within the Hollande Government of ‘Secrétaire d’Etat auprès du Ministre de la Défense, Chargé des Anciens Combattants et de la Mémoire’ the equivalent in Australia of our Minister for Veterans’ Affairs a position held in the Turnbull Government by the Hon Dan Tehan MP (VIC) represented today Major General (Ret’d) Dave Chalmers AO, CSC First Assistant Secretary Commemorations and War Graves at the Commonwealth Department of Veterans Affairs, Canberra. Signing the Visitor’s book, Minister Todeschini referred to the long standing history between France and Australia since the earliest days of European settlement in 1788; he thanked Nicole for her hospitality, presentation and explanation of the projects underway she had initiated including a new Memorandum of Understanding with the Musée de la Marine, Paris and referred to the strong symbolism the Lapérouse Museum provided in the context of the bilateral relationship.